Sesame Street started its regular weekly programming for children in 1969 and it has remained on air for over 40 years. So naturally most Americans were raised on Sesame Street and have a fondness for them. It is a combination of educational skits, puppets, and human characters. The puppets or Muppets were first introduced by Jim Henson and there are worlds of Muppets that actually rarely combine together. 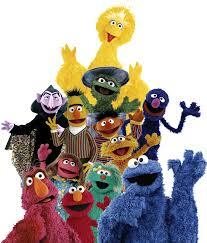 You have Sesame Street that has Elmo, Big Bird, Oscar the Grouch, Grover, Ernie, Bert and the Count. 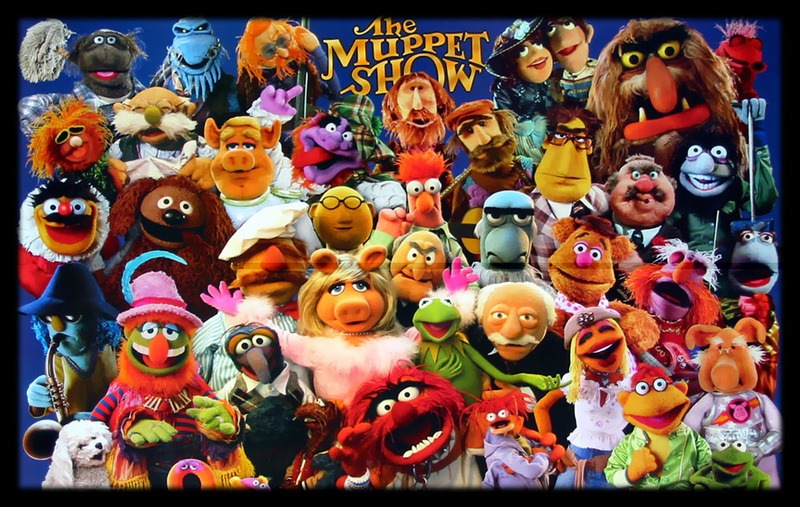 You have Muppets that has Fozie, Kermit, Miss Piggy, Skeeter, Ralph, Swedish Chef, Animal, Gonzo and many more. 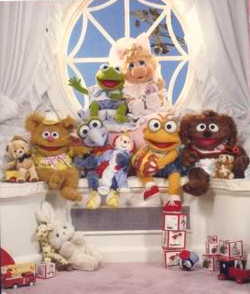 Then there are Muppet Babies which are baby versions of the traditional Muppets. 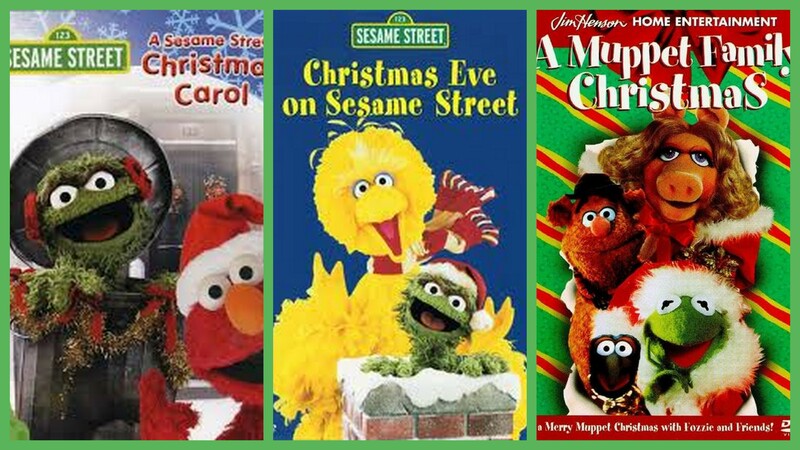 We’ll talk about The Muppets more when I review their Christmas Carol but today we are talking about Sesame Street and 3 of their Christmas films including one that has a rare combination of all 4 Muppet universes. Pretty exciting! What makes Sesame Street so wonderful is it teaches children ABCs and other skills while making them laugh and providing messages from a diverse multicultural cast. They do not talk down to kids and have tackled hard topics over the years including AIDS, death, and divorce. The writing in all the Muppet Universe is always sharp, funny for adults and full of a warmth. The key is they treat the world like an ordinary world. 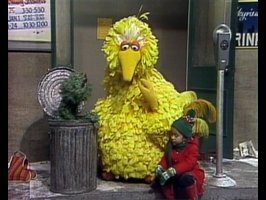 In the Christmas Eve on Sesame Street Big Bird is lost and the adult troupe at Sesame Street are as worried and upset as if it was their own little girl. It’s the same with the comedic moments. When Steve Martin has a scene with Kermit in the Muppet Movie he plays it just the same as if he was working with Chevy Chase or Dan Akroyd. That’s what makes The Muppets stand the test of time like Mickey or Winnie the Pooh because their worlds are thoughtfully rendered with universal themes. This is my least favorite of the 3 and is more of a clip show than a movie but let’s talk about it. 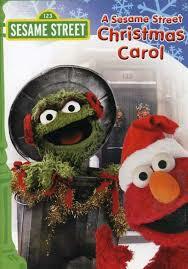 Scrooge- Naturally our Scrooge is Oscar the Grouch. He is the Muppet that lives in a trash can. This is very similar to the Grouchy in the Smurfs movie. I’m really surprised they didn’t use his song ‘I Hate Christmas’ from Christmas Eve on Sesame Street but there is a very funny narration by Tim Curry that starts out regal and stuffy and Oscar interrupts them. The gimmick here is that Oscar doesn’t want to be disturbed until after Christmas but he gets a visit from Joe Marley of Scaredy Pants Delivery Service. Then he gets a vintage bean can or a ‘ghostigram’ and is visited by 3 spirits that are not puppets. That was a major problem for me! No CG in Muppets movies!!! But if I ignore the CG they are actually pretty clever. 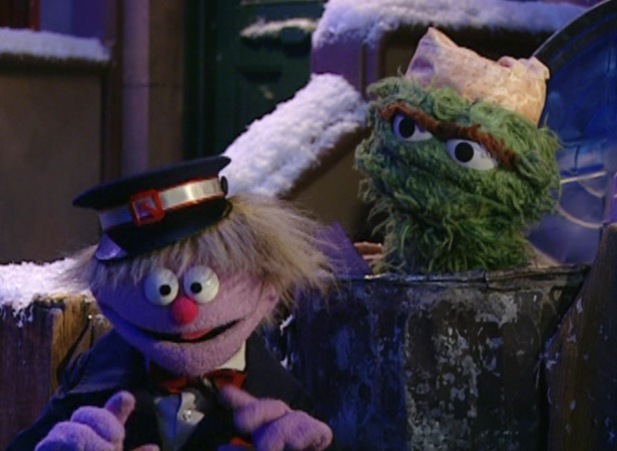 The first ghost is Rhubarb the Scottish Grouch to show 2 clips of Christmas Past. 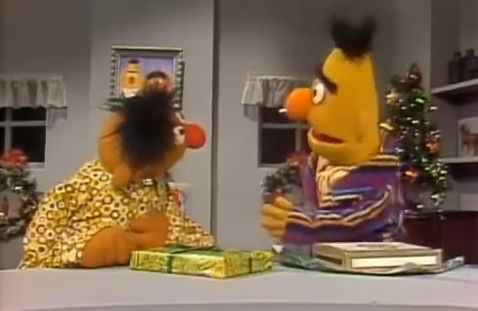 The 2 clips are Burt and Ernie Gift of the Magi which we will talk about in a bit (a favorite of mine). 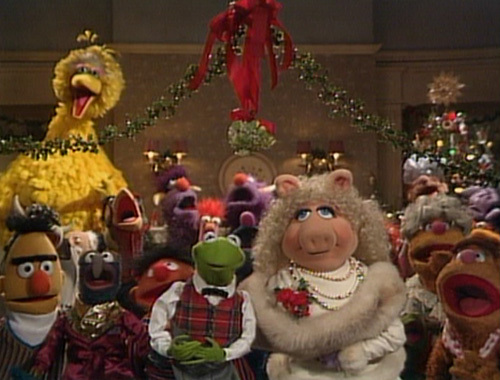 And then we get Big Bird singing ‘All I Want for Christmas’. She is missing Snuffy and it is a lovely heartfelt moment originally from Elmo Saves Christmas. Both of these segments have tons of heart and I enjoyed them both. 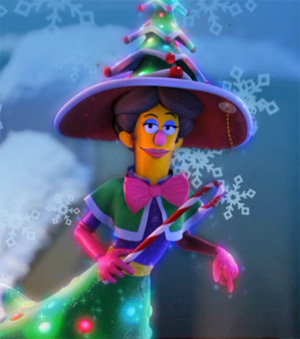 Next for Present we have Christmas Carole who is voiced by Kristen Chenoweth. There are 4 clips in this segment. Elmo in the Muppet World symbolizes love. He isn’t telling jokes or getting stressed out like Kermit, or full of himself like Piggy. He is always loving. 2. Elmo sings about ‘Everyday Can’t be Christmas’ from Elmo Saves Christmas. 3. A nice segment on Chanukah and Kwanza from Elmo’s World Happy Holidays. 4. 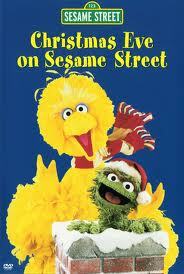 Keep Christmas With You from Christmas Eve on Sesame Street. Final Ghost is a Robot from the future and we get a cartoon about Christmas in the future. And that’s about it. It’s a pleasant film but the other 2 I am going to talk about are much better. This is a film I loved growing up and you know what I still love it! It’s funny and got real heart like the best of the Muppets. This one starts with 2 musical numbers with the kids and adults skating. Coming out of the rink Oscar starts teasing Big Bird about Santa not being small enough to fit down the chimney. This starts the plot for the film. 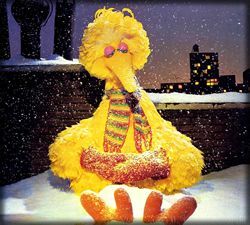 Worried Big Bird asks Kermit to find out how Santa gets down the chimney so him and Grover interview a bunch of cute kids during segments. Freaking adorable. 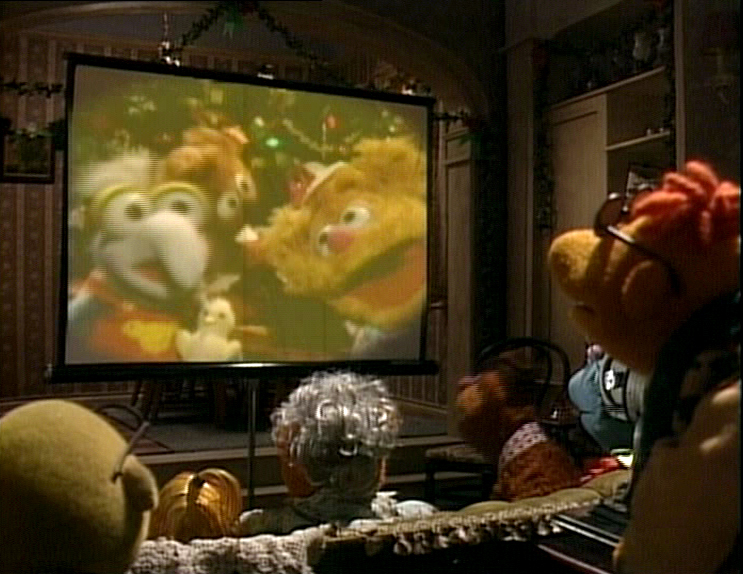 We also get a the Gift of the Magi from Bert and Ernie and this is one of my favorites Muppets moments ever. It is so sweet and heartfelt, and gets to the core of the message of Christmas. I loved it as a kid and love it now even more. I also love they sing Have Yourself a Merry Little Christmas at the end which is one of my favorite Christmas songs. It honestly makes me tear up a bit. It’s just a sweet little story about friendship and thinking of others more than yourself . I mean its his paperclip collection! 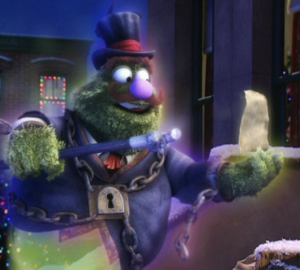 We also get this hilarious segment from Cookie Monster trying to write to Santa. Everyone starts searching for Big Bird because he is up on the roof trying to see Santa and find out. Everyone becomes very worried. Maria scolds Oscar and says with real intensity (again like they are dealing with real people). That’s the kind of heart I love in Sesame Street and Muppets. It’s just great. This film is a perfect Christmas film for kids. It will make them laugh with Cookie and Grover, teach them about friendship from Bert and Ernie and remember from Big Bird what is important. This is a very special Muppet movie because it is the only one that includes all of the Muppet universe- Muppets, Sesame Street, Fraggle Rock, and Muppet Babies! It was very exciting to watch!! It’s a pretty simple story. 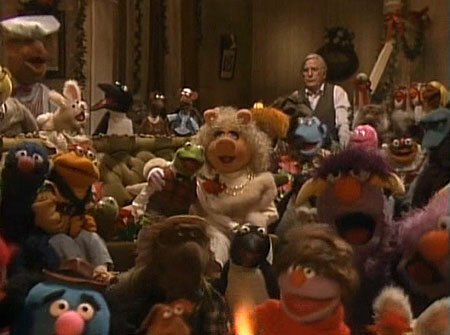 All the Muppets are gathering at Fozzie’s house and we get to meet his mother and as the day goes more people arrive. As they arrive we get more songs. 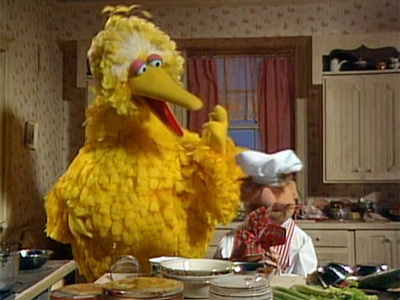 Hilarious segment when Swedish Chef tries to cook Big Bird for Christmas dinner. 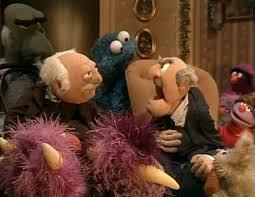 Totally epic to have Statler and Waldorf with Cookie Monster. Mind blown! 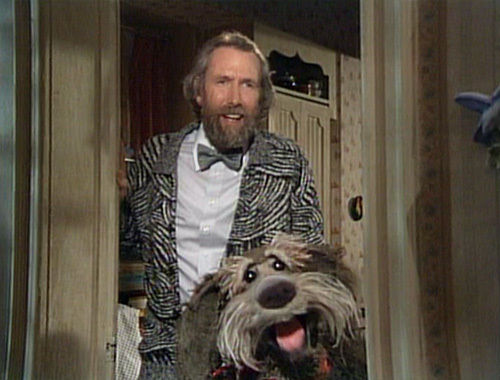 We even get a little cameo from our friend Jim Henson. Meta! 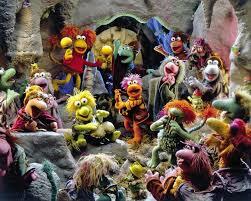 Robin and Kermit go in the basement and find a Fraggle Hole and invite the Fraggles up for Christmas. They sing a song. It ends up being a very full house but the writing is funny. 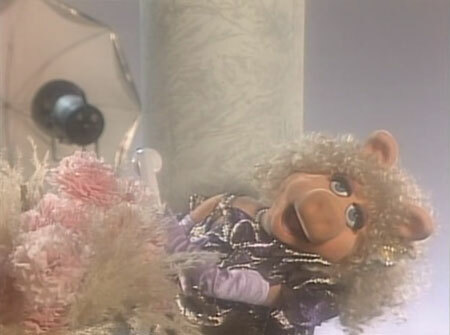 Ms Piggy is hilarious with a photo shoot at the beginning. Again, the photographer treats her like any other model which is why the Muppets works . He says ‘do that pouty thing’ and it is very funny. Like I said the rest of the movie is just people arriving and singing songs. We get We Need a Little Christmas, Jingle Bell Rock, Sleigh Ride, Deck the halls, Santa Claus is Coming to Town, No Place Like Home for the Holidays. Then the last 10 minutes are a Christmas medley of carols and it is very cheerful and entertaining. This movie is a real treat. It’s so much fun to see so many of the universes together and so many characters. The jokes are funny. The songs are good. It’s not that long so the gimmick worked fine for me. It’s just great!! So we have 3 solid Sesame Street Christmas films. I think kids and adults will enjoy all 3 with Christmas Eve and Family Christmas being the best of the 3. 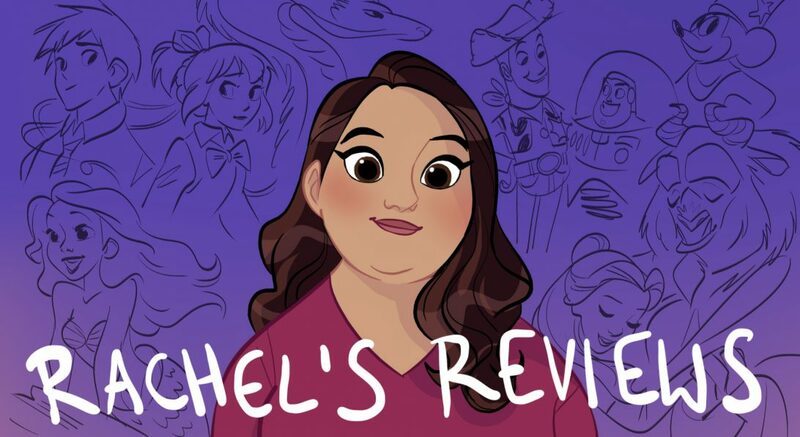 They are well written, funny, and have real heart. The Muppets are treated like real people and they don’t talk down to kids or patronize them. It’s the best! 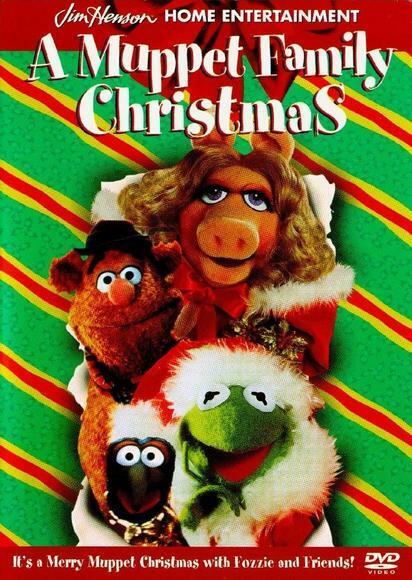 IT might surprise you, since I am usually not into the muppets at all but….I loooooooove Christmas on Sesame Street! I have been hunting for years for the German version of it which I still have an Betamax (yes, Betamax!!!!) on DVD, but they only sell some chopped up version in which everything “non German” (since the German version of the show is different than the English one, they only translate certain segments) is removed, which includes the whole ice-skating scene and everything Big Bird related. Either way, I think it is a wonderful Christmas special because it gives a really good answer to children concerning the question, if Santa Claus is real…it is not important. The Ernie and Bert segment is naturally just another version of this old short story about the woman who sold her hair and her husband who sold his clock, but it’s done well enough…and I especially enjoy Oscar. “I hate Christmas” (which was translated to “Blöde Weihnacht”…it’s just amusing how the singer is stretching the ööööööööööö). Hurray! I love it too. The Gift of the Magi by O Henry is probably my second favorite Christmas story after Christmas Carol (well 3rd favorite including Jesus’ birth) and I love Have Yourself a Merry a Little Christmas (I’m a Judy Garland nut) so the Ernie and Bert scene is the hat trick of Sesame Street bits. I agree with you about Santa Claus and how it discusses him. Whether he is real or not and whether it is important. What I think is amazing is the depth of feeling you get for a second you forget they are looking for a giant yellow bird. I think you have to hand it to the adult cast who are underrated in their acting. It must be a great working environment because they’ve managed to keep Maria, Gordon, Bob, Susan and Luis there since the 70s. Like I said the key to working with the Muppets in any format is treating them like any other actor and the Sesame Street adults do a great job with that. I also like the way they are a diverse cast without shoving diversity down your throat. Same thing with the way they treat Linda, the deaf woman. She’s just worked into the story like any other character. The I Hate Christmas is very funny. That’s why I was surprised they didn’t use it in the Christmas Carol version. The music in general is always a strength to Sesame Street. I should have mentioned the Big Bird and little girl skating to Feliz Navidad. I love that. 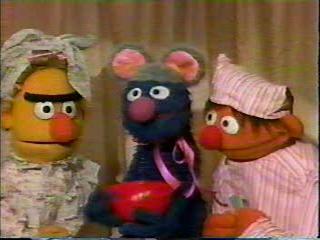 I know children love Elmo who is very sweet but I hope they check out the older Sesame Street because they really are wonderful too.